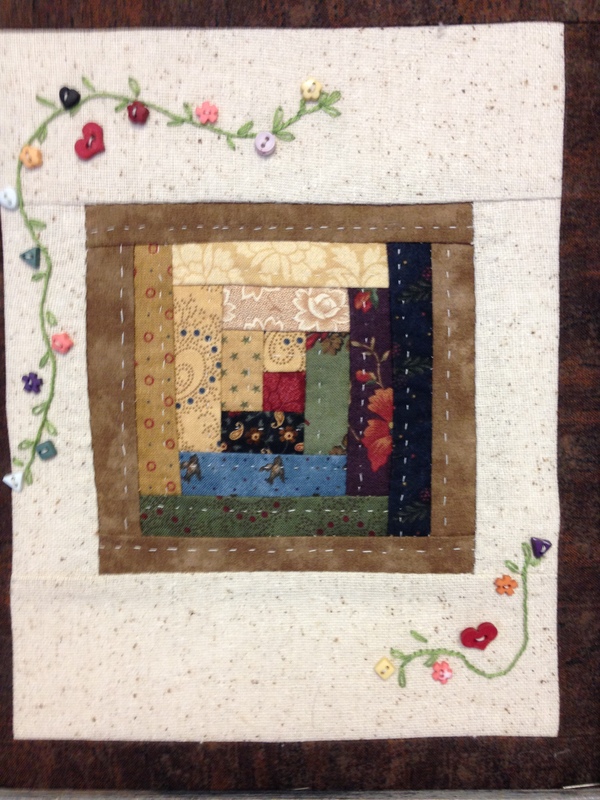 When I first began quilting with the women at the Historical Village, someone gave me a kit with the makings of a very, very small quilt that to my mind was more decoration than quilt. Whether quilt or decoration, I just couldn’t see attempting to sew it at all and Gayle very kindly offered to take it off my hands. Imagine my surprise when a few weeks later she gave me a package – the very small quilt all sewn together, decorated and framed! I have had it hanging in my office ever since. Gayle hasn’t been quilting with us for the last year or so but I think of her so often when I see that small quilt. And in my mind at least its all connected with giving. Gayle took the time to put that quilt together and then gave it to me. Cathryn takes the time to sew beautiful flannel quilts that she gives to the Village to sell. Lynda and Lewis started raking the Village grounds last week in preparation for spring. Judy is passing out postcards to advertise the Quilt Show in August. People give their time and their energy. Some people even give money (which is fortunate when the Village has bills to pay). People give us things to sell at our rummage sales. There are times when I am amazed how much is given in the name of community or friendship or religion or family or just plain ol’ kindness. Yet even as we give so much, we also are recipients of such bounty as well. I am truly thankful for the opportunity to gather with these women on Fridays to quilt and laugh and share a cup of Joan’s coffee.